Following a lander, another Soyuz-2 rocket would launch an orbiting mission toward the Moon in 2016. 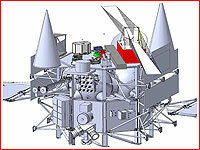 The space strategy document released by Roskosmos in June 2013, listed the Luna-Glob orbiter as scheduled for launch in the fourth quarter of 2016, even though industry sources had already confirmed that the mission would likely slip to 2017. 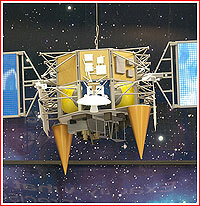 The spacecraft apparently had its own "weight" problems, ruling out its planned launch in tandem with a Luna-Glob lander. As an added benefit of the solo launch, the 2,100-kilogram orbiter could now carry more propellant, which would afford its maneuvering to a lower orbit for more detailed scientific research than previously planned. 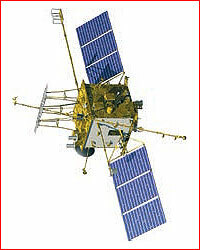 As of 2012, a mass of scientific payload onboard Luna-Glob orbiter was expected to reach 160 kilograms. 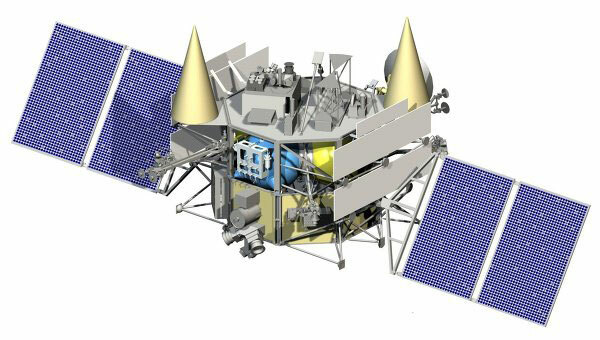 Many instruments would be borrowed from previous missions, however the main LORD radar experiment would be developed specifically for the mission. Studies of lunar gravitational field. Indeed in 2014, Roskosmos drafted the new Federal Space program, which would extend from 2016 to 2025. The document apparently included not one but two unmanned orbiting missions, even though their launch dates had now been pushed to 2021 and 2023. 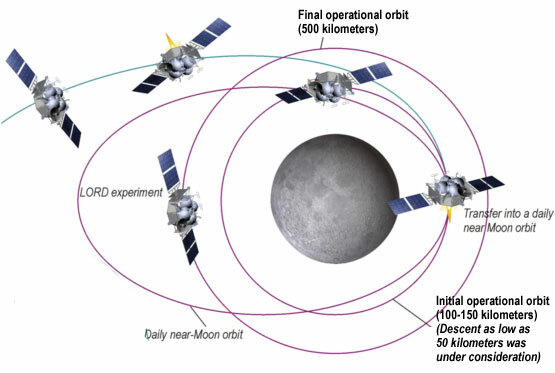 The second orbiting mission probably aimed to ensure that at least one such spacecraft would be available in the orbit around the Moon to act as a communications relay station for the Luna-Resurs lander and the Luna-Grunt sample return mission, during their critical approach and descent to the lunar surface now planned in 2023 and 2025 respectively. In October, TASS news agency quoted Deputy Designer General at NPO Lavochkin Maksim Martynov promising the launch of Luna-Glob orbiter in 2018. 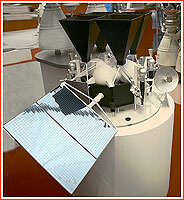 However, Martynov admitted that the (real development) work on the spacecraft was not expected to start until 2015. 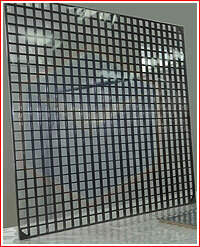 A solar panel structure developed at ONPP Tekhnologia for the Luna-Glob project. A depiction of the Luna Glob orbiter circa 2017.